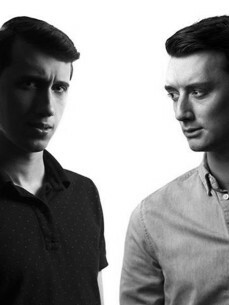 Both born in Hasselt, Reygel & Peri (Matthias Reygel & Willem Jans) ran into each other in high school and soon after that it became clear they shared the same obsession with house music. It didn’t take long before they teamed up as deejays. While most of their friends would go to parties, Reygel & Peri would be the ones playing there. Gaining confidence from the crowd’s positive reactions they decided to turn it up a few notches. They entered numerous dj-competitions which always landed them in a top spot IF they didn’t win. Aside from deejaying, Reygel & Peri became notorious for their bootlegs, mash-up’s and edits. Peri also works under his alias 'Animal Sounds' his remix for Wally Lopez's - Welcome Home was released on Versuz-Essentials. After almost a decade of tearing up floors together, Reygel & Peri have built up a solid reputation in doing so. This often gets them a spot to play at the big clubs or great venues. When they play early, they heat up the place nice and smooth. In any other case, they just break it down. In the past years they have shared the decks with many of the greatest house deejays. In the summer of 2012 they took it to the next level and played at the City Parade, Les Ardentes and Tomorrowland. When they aren’t deejaying, they probably are looking for fresh tunes or they might be re-editing existing tracks, making them fit perfectly in their sets. Reygel & Peri deliver carefully selected house tracks, accompanied with the right amount of dancefloor nukes, which always gets the party from zero to mayhem.